PROMOTING INDEPENDENT LIVING FOR OVER 15 yrs ! "This tub to shower conversion has been a blessing to me. I now have no fear of falling when getting in and out of my tub. They did a wonderful job, and I would recommend it for any senior or handicapped person." 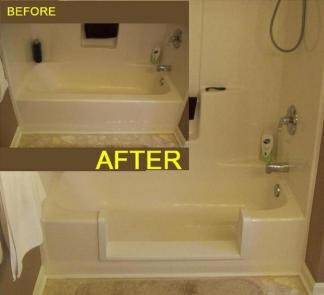 "Due to a medical issue, we needed to have our previously acrylic covered tub converted into a walk-in shower. We were fortunate to find someone local to do the job. The job site was kept clean and organized. The price was affordable, the tub looks great, and they were in and out in one day!" "We contacted them on Saturday and they promptly came out that day. He spent several hours correcting the problem with our whirlpool jets. He also fixed the uneven water flow problem, and programmed our control pad. He was courtious, prompt, maticulous, and I would recommend him highly."